Posted by skyvu on Tuesday, August 21, 2018 in News, Projects, Reporting. 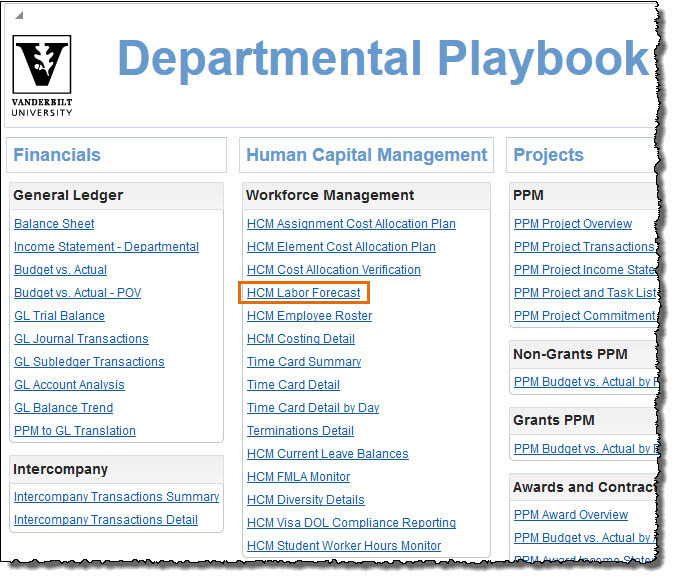 A new HCM Cost Allocation Plan Labor Forecast report has been created and added to the Departmental Playbook. This report is designed to assist HCM Specialists, Data Analysts and Business Unit/Entity Approvers with analyzing and managing labor charges by providing a monthly forecast amount and remaining time period for faculty, staff and students charged to a specific project or financial unit.